By Ad Age Staff . Published on January 08, 2019. Brands will invest in voice marketing strategies in a big way. 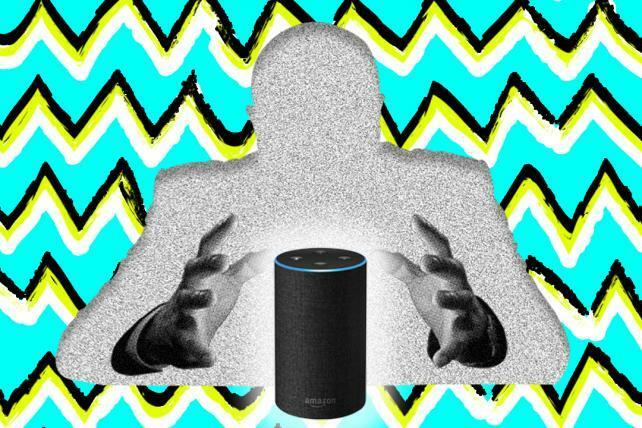 They can't afford not to: More than half of U.S. households will have a smart speaker by 2022, according to Juniper Research. But competing with the house brands of Alexa's parent company, Amazon.com, will be tough, and retailers need to make sure they're protecting people's privacy. —J.P. Thanks in large part to new technologies, out-of-home advertising will see double-digit growth in 2019. The Interactive Advertising Bureau, which only includes ad formats that capture at least $1 billion in ad revenue, will also include digital out-of-home in its twice-yearly report for the first time.—G.P. S.
An Association of National Advertisers' report found that in-housing was skyrocketing. Some internal shops, such as Intel's Agency Inside, have been shuttered, but the in-house trend will increasingly involve agencies helping clients set up and manage more of their media services internally. —M.G. The nation's beer marketers, the biggest brands of which are stuck in multiyear sales slumps, will face tougher times as the economy worsens and new alternatives, like CBD, take hold. This will force brewers like Anheuser-Busch InBev and MillerCoors to cut costs, shed assets, curtail marketing spending and more. —E.S. The second- and third-party data that has fueled programmatic digital ad buying costs money and is often inaccurate. Big CPGs will continue to gather and process their own data (and brag about the results). Doing more d-to-c marketing fuels the databases, which leads to more d-to-c marketing. In other words, expect more of this. —J.N. Apple will buy Snapchat, now a bargain due to its slumping stock. (Its value is down more than 60 percent from the start of 2018.) It's a steal for Apple, which can use Snapchat's expertise in AR. Plus, Apple has always aligned with Snapchat CEO Evan Spiegel's claimed commitment to privacy and aversion to advertising. A move to Apple would signal a return to Snapchat's roots as a company that didn't rely on mining data from users to make money. —G.S.